Helen Bannerman, who was born in Edinburgh in 1863, lived in India for thirty years. As a gift for her two little girls, she wrote and illustrated The Story of Little Black Sambo (1899), a story that clearly takes place in India (with its tigers and "ghi," or melted butter), even though the names she gave her characters belie that setting. For this new edition of Bannerman's much beloved tale, the little boy, his mother, and his father have all been give authentic Indian names: Babaji, Mamaji, and Papaji. And Fred Marcellino's high-spirited illustrations lovingly, memorably transform this old favorite. He gives a classic story new life. Fred Marcellino's picture books include Puss in Boots, a Caldecott Honor Book; The Steadfast Tin Soldier, an ALA Booklist Children's Editors' Choice; and The Pelican Chorus, one of School Library Journal's Best Books of the Year. 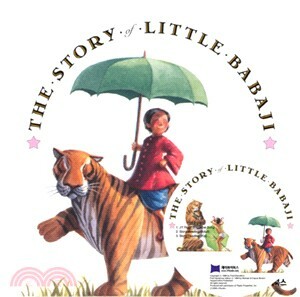 His most recent books, The Story of Little Babaji and Ouch! are both ALA Notable Children's Books. Dancing By the Light of the Moon: The Art of Fred Marcellino will open on November 9, 2002 and run through January 26, 2003 at The Norman Rockwell Museum in Stockbridge, Massachusetts. This is a comprehensive show of more than 150 pieces highlighting his children's book career, and the first museum retrospective honoring the artistic accomplishments of this remarkable artist. For more information visit, The Norman Rockwell Museum website.